December 5, 2014, Nashville, TN - Word Entertainment came out on top during today's GRAMMY nominee announcements, receiving more Contemporary Christian nominations than any other company. Claiming multiple nods in the two Contemporary Christian categories, Francesca Battistelli and for KING & COUNTRY, NEEDTOBREATHE and Natalie Grant are amongst the nominees. "These nominations are a huge statement for our artists and an exciting recognition of their work," says Word Entertainment President & CEO Rod Riley. "I am extremely proud of our artists and our team." Francesca Battistelli, who has been previously nominated, claimed two nominations-If We're Honest (Best Contemporary Christian Album) and "Write Your Story" (Best Contemporary Christian Music Performance/Song). "I am floored!" says the Dove Award Winning Artist of the Year. "What an amazing honor. For this new music to be recognized by my peers is just incredible. It's true what they say-just being nominated for a GRAMMY is a huge privilege." Nominated for the first time is Australian duo for KING & COUNTRY, who received two nominations-RUN WILD. LIVE FREE. LOVE STRONG. (Best Contemporary Christian Album) and "Messengers"-Lecrae, feat. for KING & COUNTRY-( Best Contemporary Christian Music Performance/Song). The brother duo, who received a Dove Award for New Artist of the Year just one year ago, have scored significant victories throughout the year-Top 15 Billboard 200 album debut, #1 multi-format single and their most successful tour, which sold-out nearly 40 shows around the country. The brothers responded to the nominations with this statement: "We remember when our debut album was about to release, someone asked us what our hopes and dreams were. We first wanted people to be impacted by the hope of music but also had the distant dream of being nominated for one of music's most prestigious honors. Today, three years onward, to be nominated for two GRAMMYs by a group of people we call friends is truly a gift." NEEDTOBREATHE (Atlantic/Word Records) received their first GRAMMY nomination in the Best Contemporary Christian Music Performance/Song category for "Multiplied," which spent 29 weeks on the chart at NCA, peaked at #5 and remained in the top 5 for 4 weeks straight. "Multiplied" was also nominated for Rock/Contemporary Song of the Year at the 45th Annual GMA Dove Awards. NEEDTOBREATHE also appeared at the 88th Annual Macy's Thanksgiving Day Parade. Natalie Grant (Curb Records) received her third career GRAMMY nod. The multiple Award winner, who claimed the Dove Award Female Vocalist of the Year four consecutive years, was nominated in the Best Contemporary Christian Album category for Hurricane. 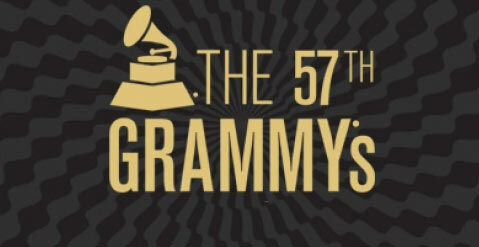 The 57th Annual GRAMMY Awards will be held on Sunday, February 8, 2015. View the complete list of nominees HERE. A leader in the music industry for over 60 years, Word Entertainment, a Warner/Curb company, is a unique, comprehensive faith-based company comprised of multi-faceted artist service departments including publishing, merchandising, booking and online initiatives. Word Entertainment represents some of the top names and brands in music, including About A Mile, Meredith Andrews, Chris August, Francesca Battistelli, Big Daddy Weave, Blanca, Jason Castro, Everfound, Family Force 5, for KING & COUNTRY, Group 1 Crew, Love & The Outcome, Dara Maclean, NEEDTOBREATHE, Point of Grace, Sidewalk Prophets, Skillet, Stars Go Dim, Switchfoot, VERIDIA, We As Human and Zealand and is home to 25 Entertainment, Word Distribution (representing Curb Records and Big Idea/VeggieTales among others), Word Church Resources, Word Films, Word Music Publishing and Word Label Group's Word Records, Word Worship and Fervent Records. For more info on Natalie Grant visit the JFH Artists Database.